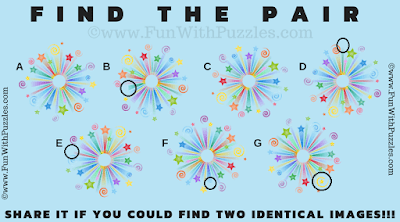 This Visual IQ Test is dedicated to festival of celebration. Here in the Visual IQ Test there are seven similar looking pictures of the Firework Columns. 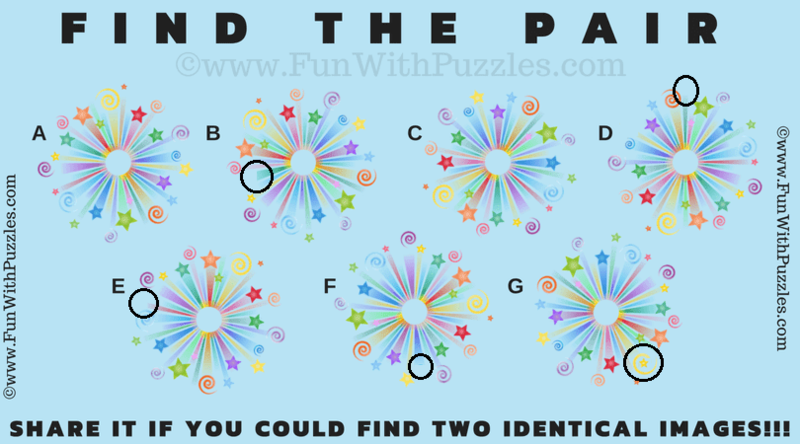 These puzzle images looks very similar to each other, but there are only two puzzle images which exactly match with each other. Can you pass this visual IQ Test by find this pair which are matching to each other in this puzzle picture? 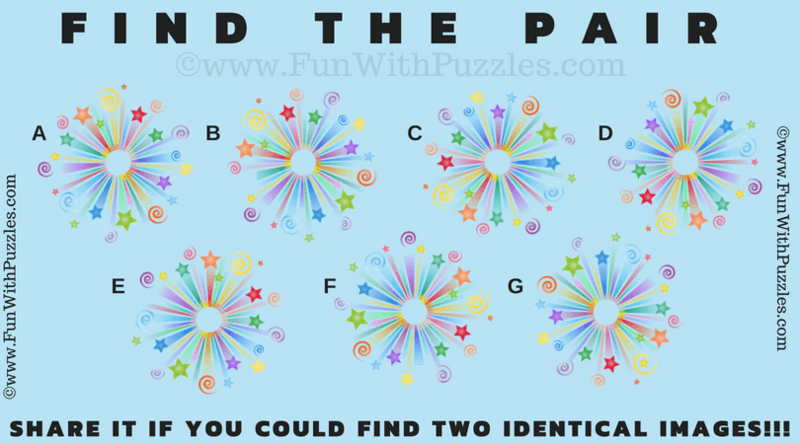 Can you find the matching pair in this picture? Answer of this "Visual IQ Test", can be viewed by clicking on button. Please do give your best try before looking at the answer.